I am sure that you (like I am) are tired of hearing about Common Core. We have spent so much time and energy trying understand this shift within our district. This summer I have a 3 day training on Common Core within reading (happy summer break to me!). 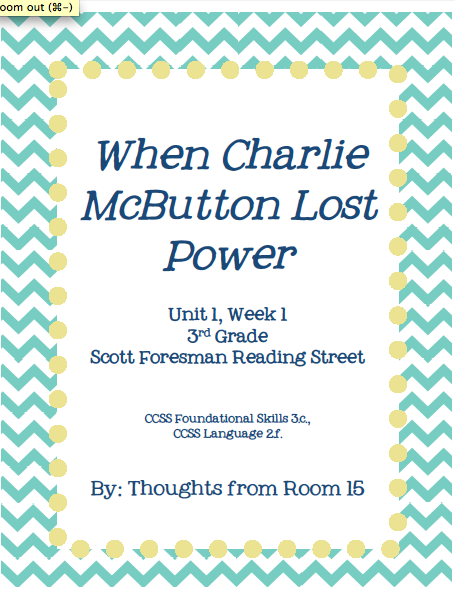 I am in my 2nd full week of summer break, so I am slowly letting my mind start to think about school once again. The first week of break, I just cannot even go there. Our county has adopted Scott Foresman Reading Street for next year. While we have not received our actual textbooks or teacher editions, we have online access. So far, I think I like the series. It is very technology integrated which I think is great! As I have started planning for next year, I have been trying to develop some center activities for my room. 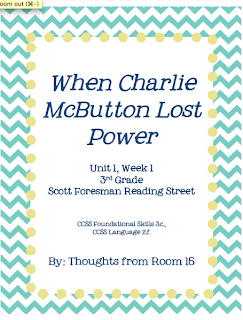 Unit 1, Week 1 (When Charlie McButton Lost Power) focuses on VCCV patterns for spelling. I developed some activities that I have listed on Teachers Pay Teachers. 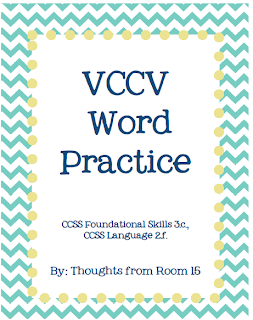 If you need some VCCV practice for your kids, check this packet out! 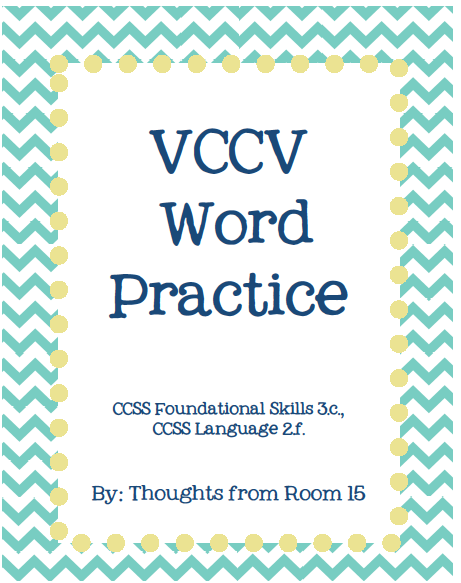 If you would like to check this packet out, click here! Also, here is a little FREEBIE! I made spelling cards and a VERY basic spelling test.